Listen here or use the Flash Player on this site. Subscribe on iTunes! Quince & Co is a sponsor of this podcast. I love their yarns! Right now I am knitting Stripe Study Shawl in Tern in Stonington and Oyster. It is almost finished! Happy Anniversary to all Pipeliners! Knitting Pipeline was one year old on July 3! Your notes, comments on the show blog, and participation on our Knitting Pipeline group on Ravelry keep the show going. I appreciate each one of you! A warm welcome to new Pipeliners! I heard from Lacey, Jenny, Penny, Wendy, and Lu. We had two new 5 star reviews on iTunes thanks to Laurie Starr and Julie Bonello. And if you are just out there clapping or cheering me on, that is great too. For those of you going to Sock Summit, keep your eyes on the board for meet ups. There is a meet up scheduled for the lunch hour on Saturday at the Bar Maid's booth #400. I will be there. Also, I will try to meet up with you as best I can. Please stop me to say hello if you see me at Sock Summit...or anywhere else. I wanted to carry Lily of the Valley in my wedding bouquet. My Tante Grete in Denmark asked all her friends to gather their Lily of the Valley in their gardens. 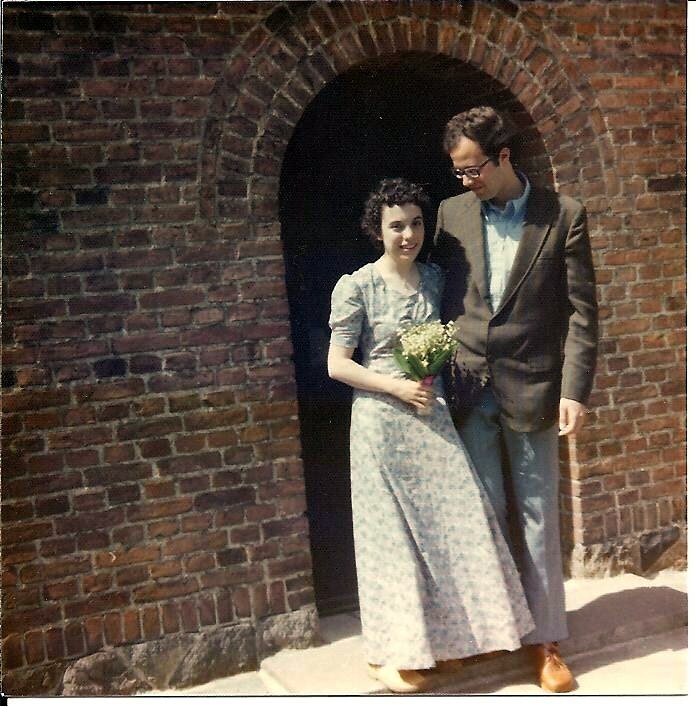 They dropped off their flowers at her house on the morning of the wedding. Bob wore his hiking boots...the only shoes he had with him for our trip to Norway and Sweden. See that shawl? I had totally forgotten that I wore a shawl. My friend, Vibeke, loaned it to me that day as it was a little bit chilly in the morning. 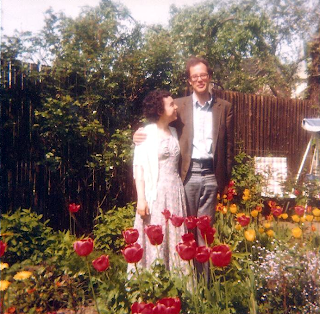 In this photo we are standing in Onkel Orla's garden in Aarhus before going to the church. We had ridden a city bus to the City Hall to get our marriage license. Kate Middleton carried Lily of the Valley in her wedding bouquet. Did she copy me? Queen Victoria popularized The Language of Flowers where flowers each had their meaning. Lily of the Valley meant "return to happiness" or "trustworthy". Lily of the Valley became the National Flower of Finland in 1967. All parts including the berries and highly poisonous. It has some of the same effects that foxglove might have, another one of my favorite flowers. Triangular Summer Shawl by Helve Poska from Knitted Lace of Estonia by Nancy Bush. Probably the best seaming I've ever done! My first foray into nupps was the Swallowtail Shawl by Evelyn Clark. I found nupps to be tricky and sometimes I didn’t secure all the loops properly. When they say to knit loosely into the loop, they mean very loose. Pull the stitches out as you make them and hold them with another finger to keep them nice and big. After you have the required number of loops in your nupp put your free needle tip (the one that would be in your left hand) inside them and pull towards you to neaten them up. On the WS when you come to a nupp and all those loops have to be purled into one: This is a trick that I do that I didn’t see anywhere else. I hold the loops at the base of the nupp and pull straight down before putting the right needle tip in. Then I slide the right needle tip alongside the bottom of the left needle tip as it goes in. Once I started doing all three of these precautions, the nupps improved and got easier. The first clip are my tips for the right side and the second clip shows tips for the wrong side of the work. I knitted this shawl for my nephew's fiancee, Susan. Isn't she lovely? Does she look a bit like a knitwear designer we know and love? Stephen West (Westknits) has a Mystery Shawl KAL that starts on August 1, 2011. The pattern is $4 now and $6 when released after the KAL. I jumped right in and bought the pattern. I can't resist Stephen West. I need 3 colors for the shawl. I'm thinking some of this Quince & Co Tern would work nicely. What about Barnacle, Driftwood, and Boothbay Blue...or Sea Grass? Paula - great episode, as always! I think your Susan looks like Susan B. Anderson! I was going to say Susan B. Anderson, too! I wonder what it means that you spent your first podcast anniversary sewing on the border of the Estonian lace shawl. Oh Paula, you are my knitting ANGEL! I started Rosemary Hill's Ice Blossoms shawl yesterday and was so frustrated by the nupps. Mine were way too tight. 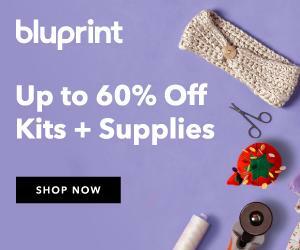 I searched nupps in Ravelry forums and saw that you had posted nupp tutorials in your podcast the day before. I will go back to my shawl today with renewed mojo and confidence. Thank you for your consistently excellent podcast. PS Love your wedding photos. Love your possible choices for the KAL - I was thinking of using Columbine, Driftwood and Barnacle myself! Love how the one vibrant color pops against the Driftwood and Barnacle. Quince & Co. hits a homerun again in my books. The Triangular Shawl is gorgeous. My grandmother grew Lily of the Valley flowers beside her front porch. The smell of those flowers takes me back to wonderful times sitting and playing on that porch with her. She taught me to knit. 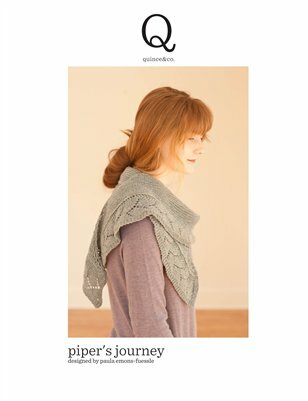 Knitting Pipeline was the first knitting podcast I ever listened to. Last July you inspired me to make my first lace shawl, The Eiffel Tower Shawl. While I will miss a weekly visit from you this August, you deserve a break. Please enjoy your busy August and don't feel guilty about not podcasting. 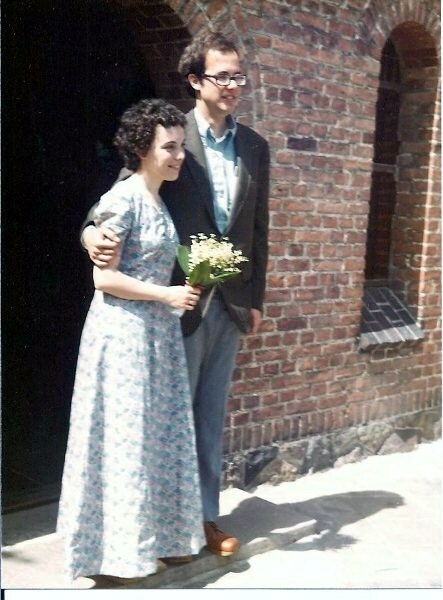 While I wouldn't recognize any knitting designers, I do think your son's fiance is beautiful! You are so very generous in sharing your knitting knowledge, you have really done that in a way I can understand and implement. And Bob, I'm adding a ruffle to my LaLa shawl, too, and it's good I knew there would be a TON of stitches! Gees! Thanks, dear, and have a great August. Happy Anniversary Paula! It's been a delight to listen to Knitting Pipeline over the last 12 months! Seems like longer. I find it hard to imagine that I knit at all before you began the podcast! Have to agree with the Pipeliners above -- just looked at Susan B Anderson's photo -- your niece to be is very much like her. Two beautiful ladies! Lilly of the Valley is my favorite flower too! In France, it's the symbol of Labor day (1st of May), as it starts to bloom around that time there. I'm born on May 5th, so I think it's "my" flower at well. I just love its delicate smell and the beautiful shade of the tiny flowers. I didn't know about the Lilly of the Valley lace patterns... your shawl is beautiful. I'm very tempted for one of my own. Thanks for the inspiration, once again! Love your show! Learn so much. I liked when your husband was on and explained a math problem of a shell and the formula. You and he are so calming to listen to. Love the nature notes as well. This episode brought back memories of my own wedding in the 1970's. I wanted Lily of the Valley in my bouquet but couldn't afford them from the florist. So I had them piped in icing on the layers of our wedding cake. Paula, your Triangular Shawl is just beautiful! I found the DVD at Joann's this morning and used my 50% off coupon. I'm sure I'll get my money's worth! I always enjoy your podcast. Thanks for the tip about the Westknits KAL. Paula, thanks for another great podcast. Also, thanks for sharing some of the photos from your wedding day with us - they are lovely. Finally, thanks for doing such extensive and helpful shownotes here. Have you had any problems getting items ordered from Qiince & Co? I ordered a Color Card as part of my order on July 9,2011 and I am still waiting to receive it. I downloaded two patterns and I was going to order yarn once the color card arrived. Either they are not going to send the color card (and keep my money) or they are very slow at completing orders. Any way, I will not be ordering anything else from them. Oh, the shawl you made is beautiful. What lovely nupps! I have to say, your are extremely brave to sew on a border. I would want to knit it on. Love your wedding pictures. They just capture a special moment. And the two of you look as in love as ever. Great present day shots too :). Love your podcast, Paula. Paula you have such a wonderful podcast every time! I love your shawl; a dream of mine to knit it someday. I have not knitted a lace one yet. Please give us all the details of the Sock Summit. Would love to go someday. My heart will be with all of you. Just listened to this episode and number 52. What a compliment to be compared to your beautiful Susan:) Thank you. It is such a funny feeling to be out for a walk and listening to a podcast and suddenly hear your name being mentioned. It made me laugh. I LOVE your podcast. You do a wonderful job, Paula.